Is there anything insufficient here? *translators note: the lyrics is quite unique as it represents a conversation with an Alien real estate agent trying to sell a property in Mars. ^_^ and what I like about this song is the soooo sweet and epic space-like keyboards. Categories: Lyrics Translations, Negoto | Tags: Alien Estate, ねごと, エイリアンエステート, english lyrics translation, negoto, 歌詞 | Permalink. Why do goodbyes always overflow? 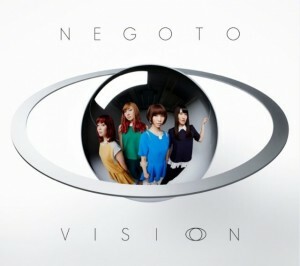 Categories: Lyrics Translations, Negoto | Tags: ねごと, english lyrics translation, negoto, time machine, 歌詞 | Permalink. Categories: Lyrics Translations, Negoto | Tags: ねごと, endless, english lyrics translation, negoto, 歌詞 | Permalink. Categories: Lyrics Translations | Tags: english lyrics translation, Silent Siren, Te wo Tsunaide, 手をつないで, 歌詞 | Permalink. Categories: Lyrics Translations | Tags: ダイバー, diver, english lyrics translation, tricot, 歌詞 | Permalink. Categories: Lyrics Translations | Tags: E, english lyrics translation, tricot, 歌詞 | Permalink.